For a romantic escape, wine touring vacation or group getaway, consider the Napa Inn, located a short walk to downtown Napa shops, restaurants and embarcadero. 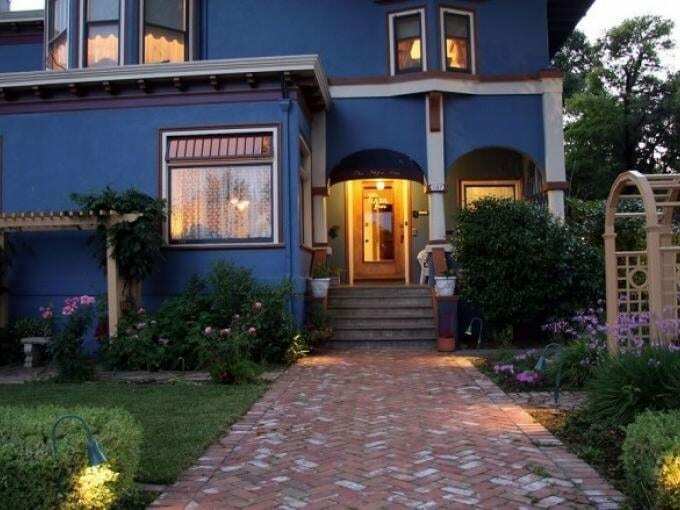 Napa Inn is comprised of two adjacent Victorians, a Queen Anne and an Italiante. Both blend period antiques with the convenience of modern technology. Relax in a beautifully appointed guestroom – all include a private bathroom, fireplace, TV and wireless internet. Join us in the parlor for dessert and liqueurs, to make new friends or curl up with a book in front of the fire. Awaken to the tantalizing aroma of a freshly prepared full breakfast.